Part of my Christmas present from dear hubby was a couple of new raised bed planters just under my studio window. He spent Saturday morning weeding the area, leveling it out and filling my new beds with beautiful soil. This area used to be mostly shady when the three big ash trees we recently had removed ruled the backyard. They have since been replaced with less messy, more garden friendly trees and now I have a nice sunny plot for a cutting garden and vegetable bed. I spend Saturday afternoon before the rain putting in cool season vegetables in one of the planters. Lettuce, radishes, carrots, sugar snap peas and a few herbs should begin showing themselves in a few weeks. The other one I scattered cutting garden seeds plus a few rows of larkspur and bachelors buttons, which bloom profusely for us here in the early spring. That's a wonderful gift,Patty; a similar one would have to arrive a few months later here! Lovely raised bed Patty. Sun makes a huge difference. What a nice gift I love my raise beds so much easier on my back unfortunatly for me the neighbors cats like them to. We had to make covers for ours. I'm so jealous. I'm tired of cold weather. What a wonderful gift!!! See you Friday? 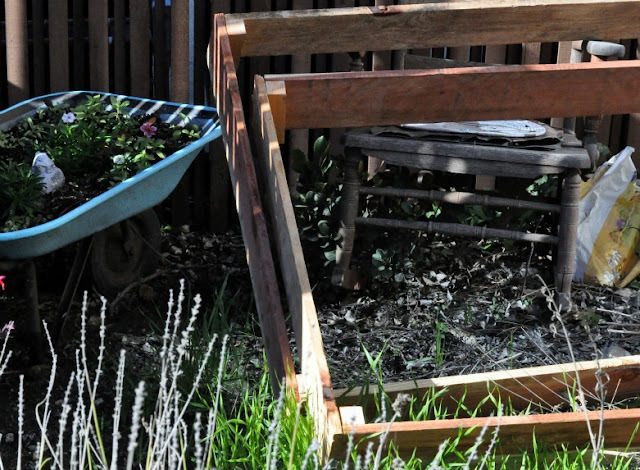 I've never had much luck growing vegetables but have heard raised beds are the way to go. I would love to give it a try this year. Can't wait to see your crops!!! Good luck with your new gardens. Oh Patty, I am so excited for you! 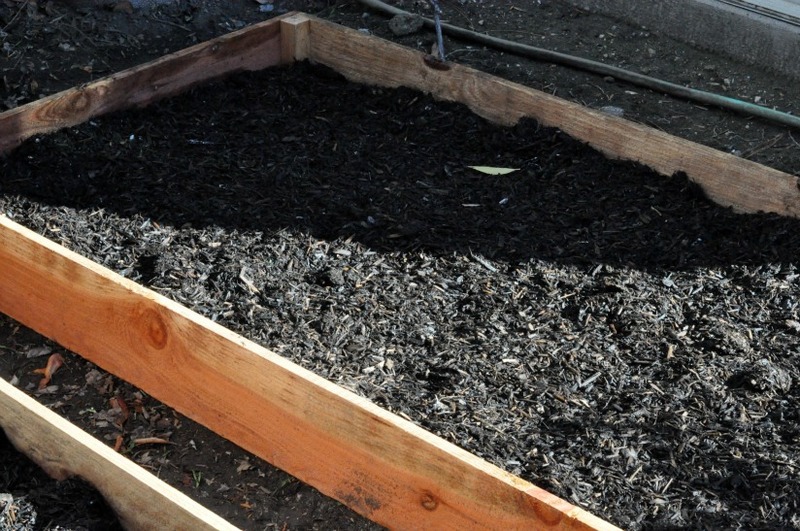 I want raised beds so bad! I just have to make that happen!! I will have to wait until alllll of this snow is gone! Haha! How fun to have a garden w fresh veggies this time of year...you'll have to take up the hobby of canning! If I had a great garden and was retired, I would hope to do some canning like my momma did years ago! Your pics are very refreshing for this ol cabin-fever gal. Our temps are going to be up to 60 by Saturday though so that is a real treat! What an awesome present! You are so lucky that you live in an area where you can actually be growing things outdoors at this time of year. 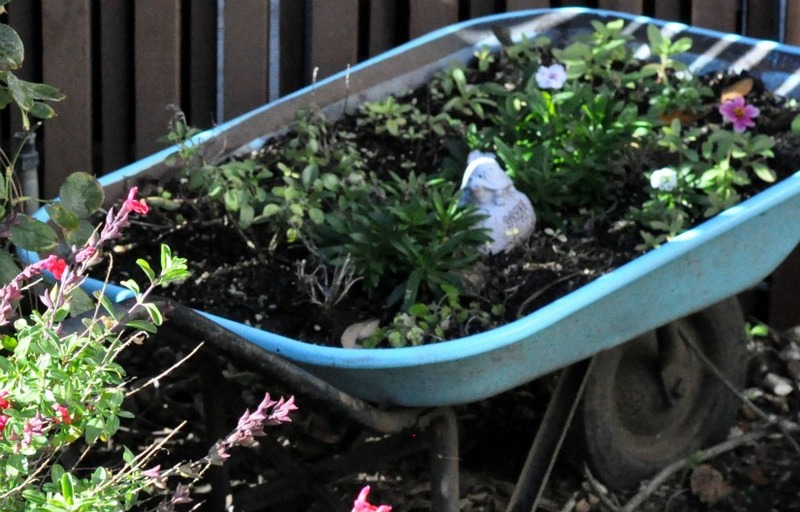 I love how you have the plants in a wheelbarrow, too - very pretty. What a great way to begin 2013's growing season with your new raised beds!!! We are looking forward to trying, once again, to grow some vegetables in this dry, arid heat of the Central Prairie!!! So far, herbs and roses tolerate this climate best!!! I am so hungry for fresh lettuce and tomatoes to go with those herbs!!! This could be the start of something B I G!! !